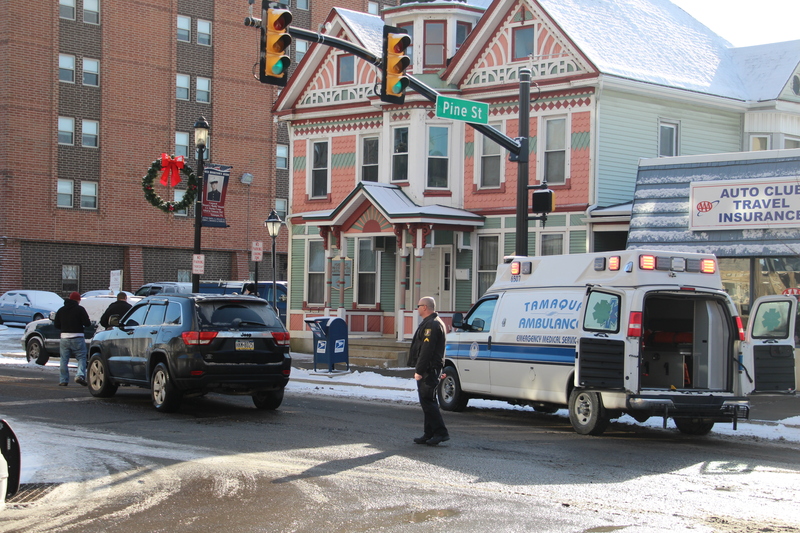 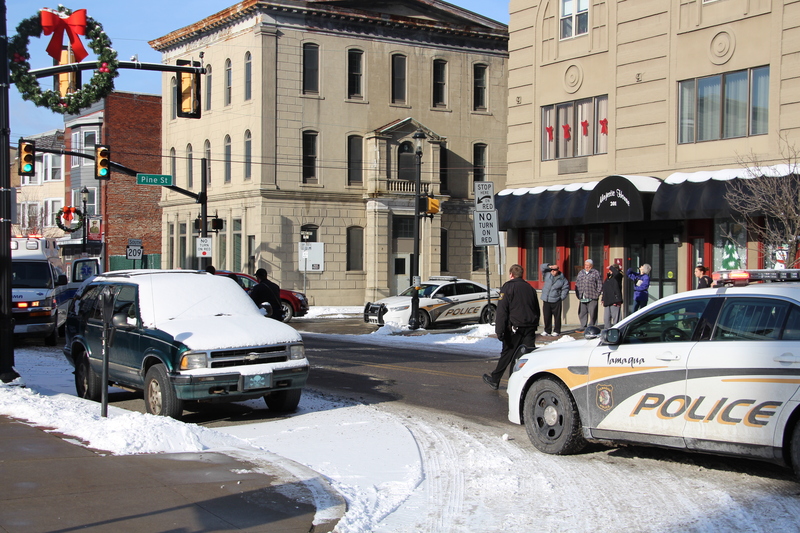 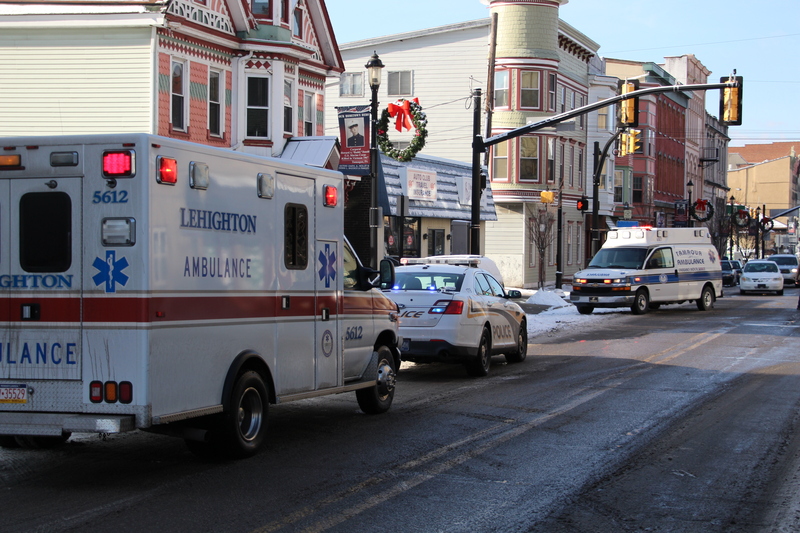 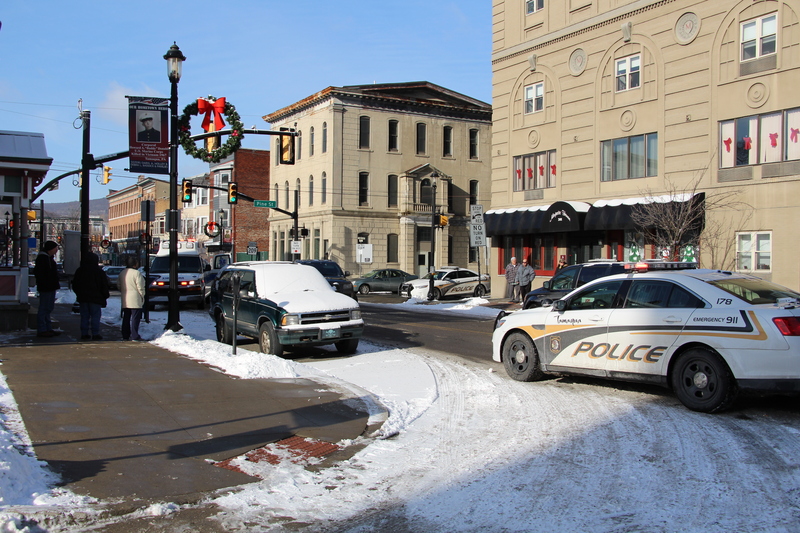 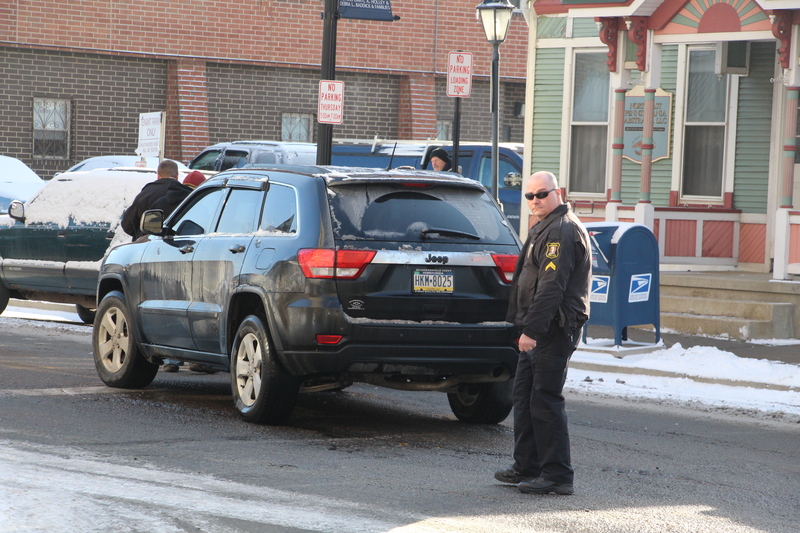 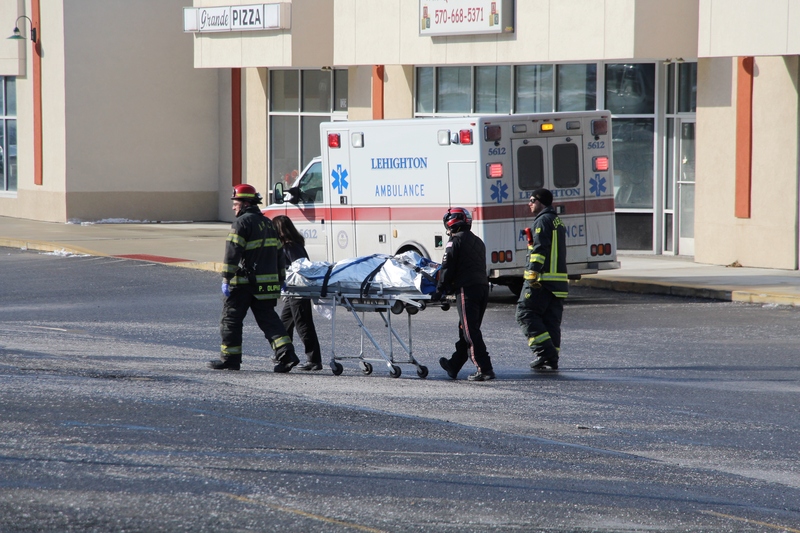 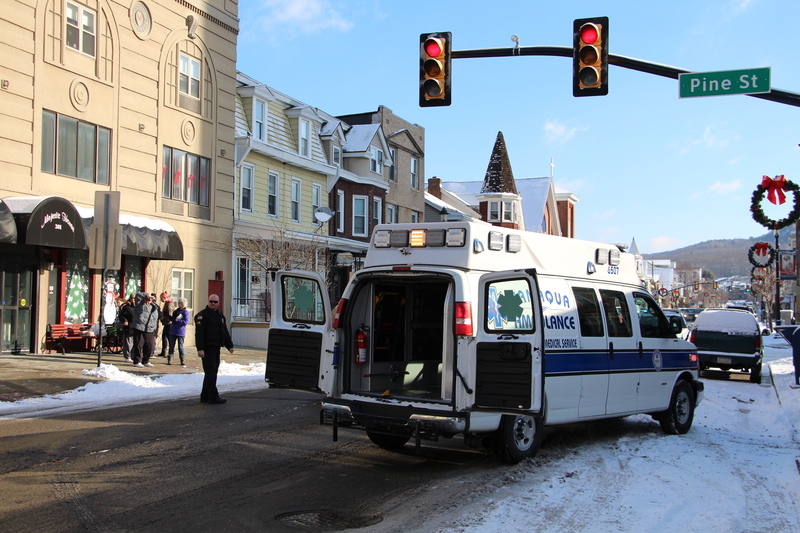 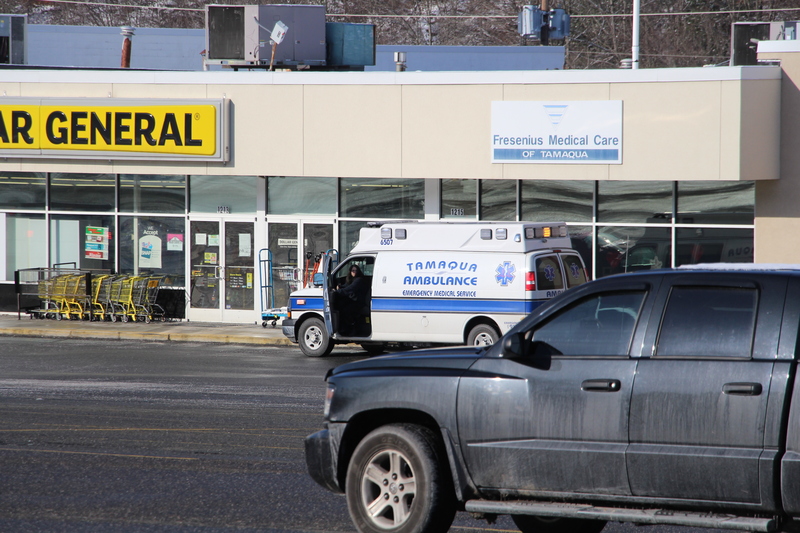 An older female was struck by a vehicle around 10:20 a.m. today while crossing East Broad Street (US209) at the Pine Street intersection. 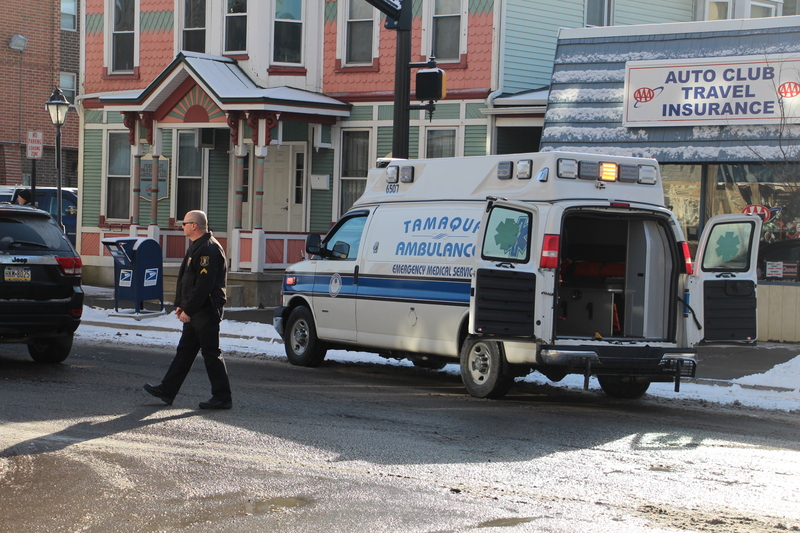 The driver of the vehicle stopped and offered aid to the victim. 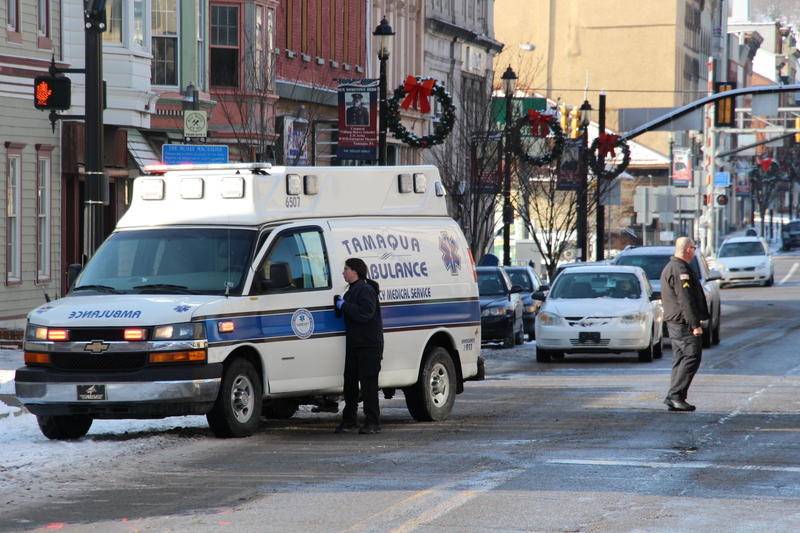 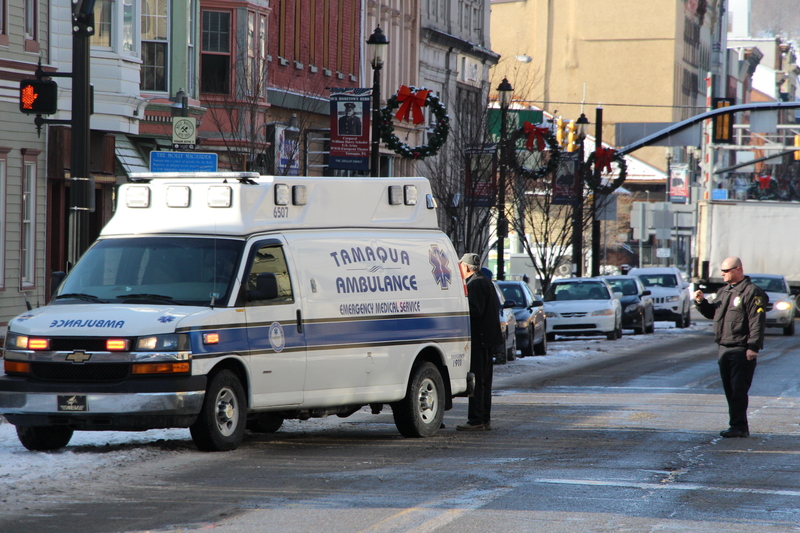 On scene were Tamaqua Ambulance, Lehighton Ambulance and Tamaqua Police. 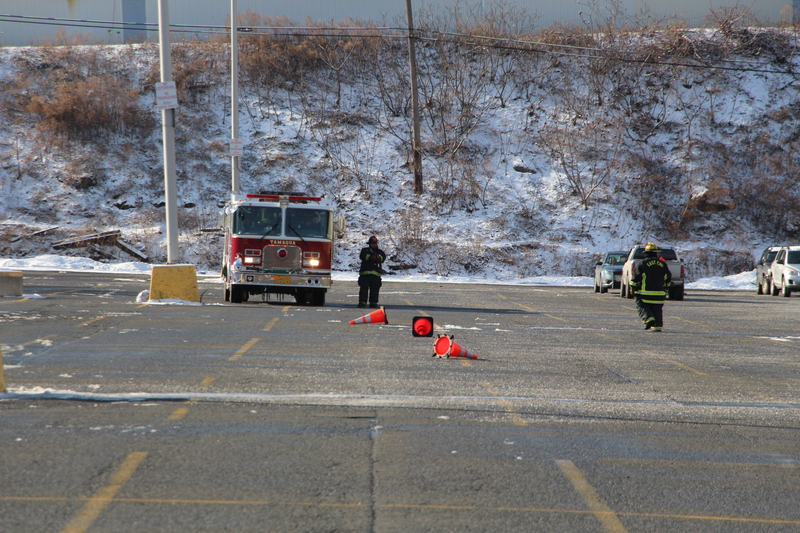 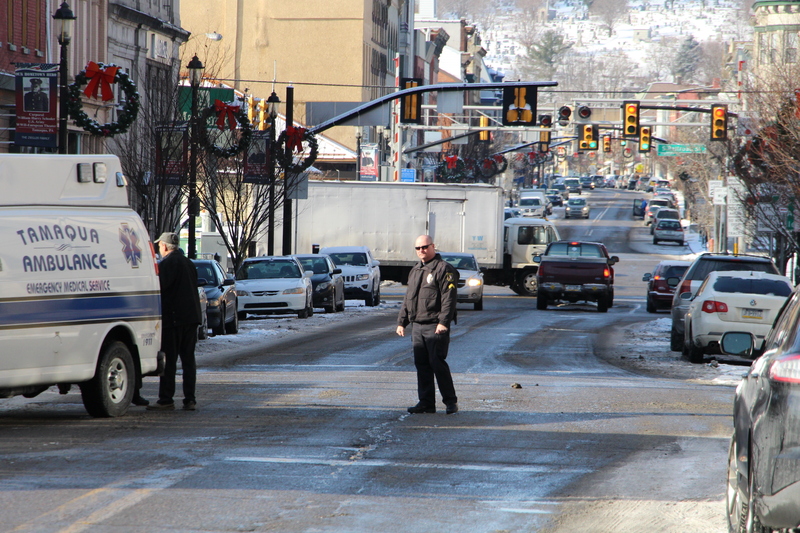 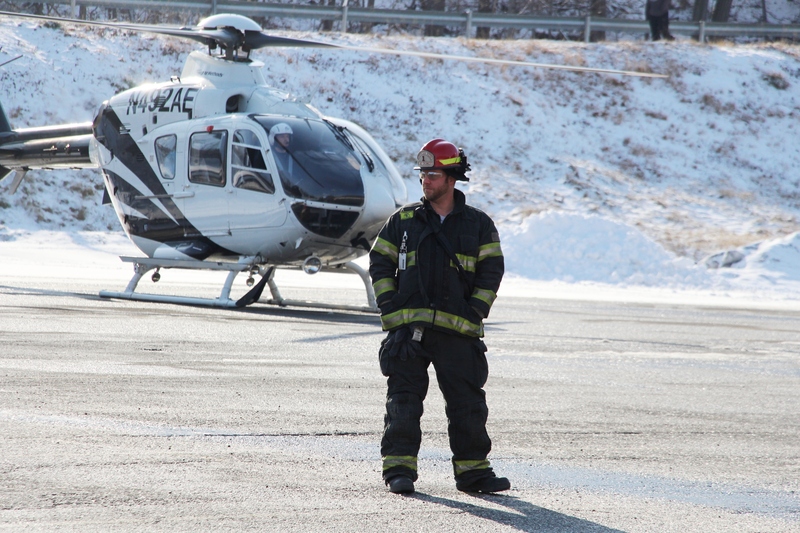 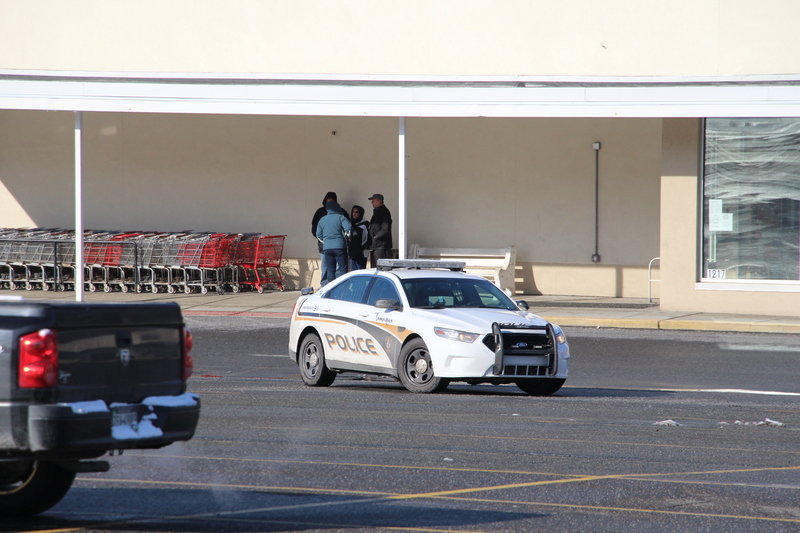 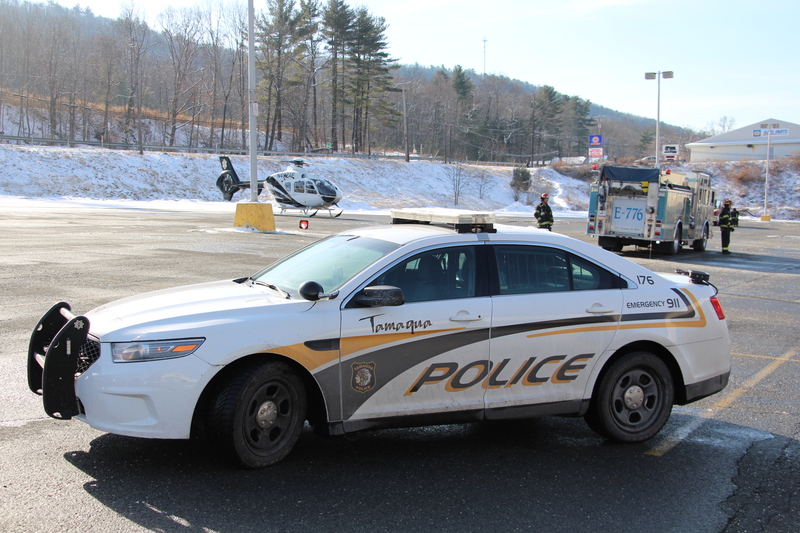 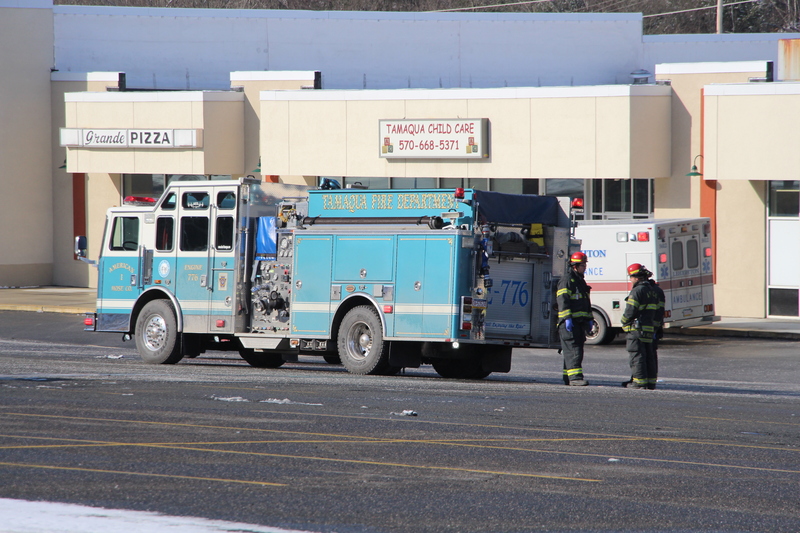 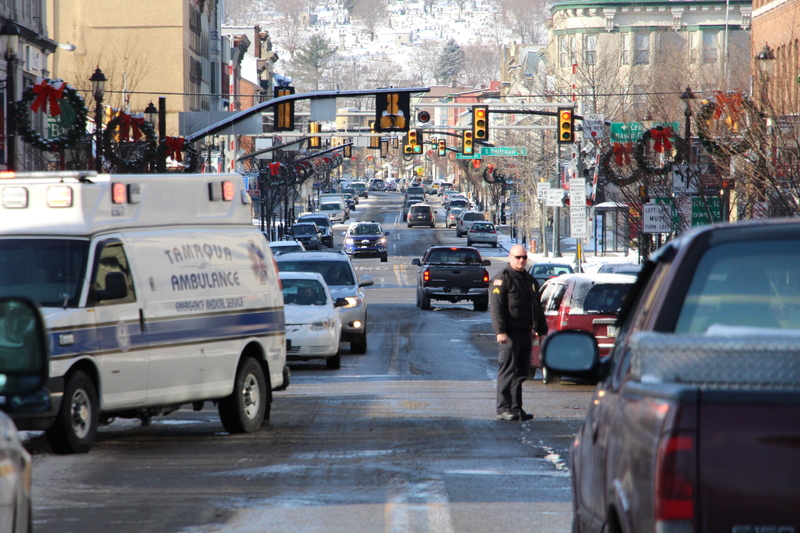 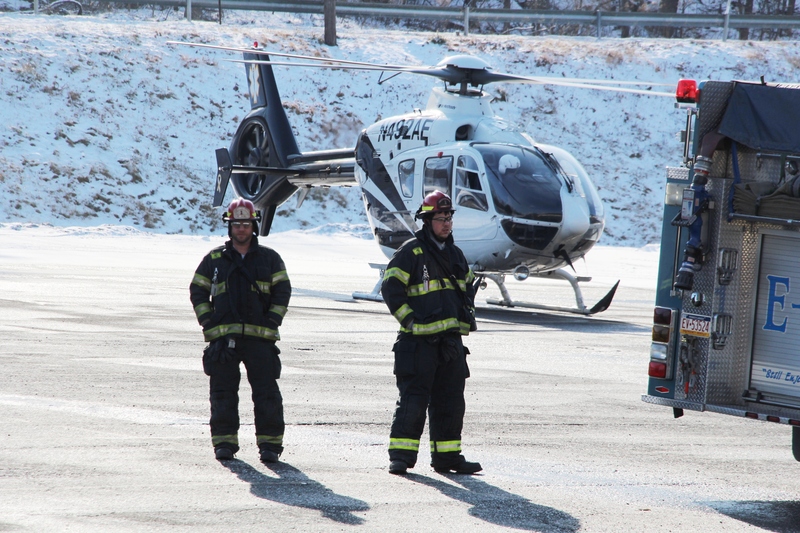 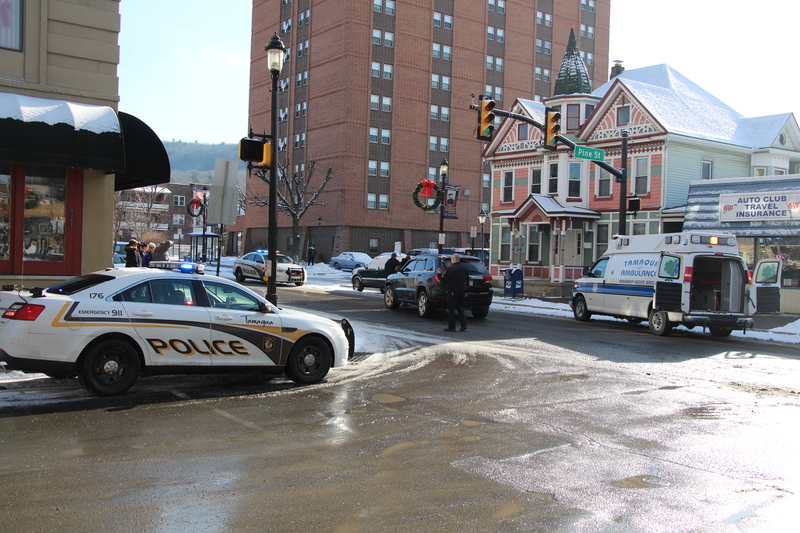 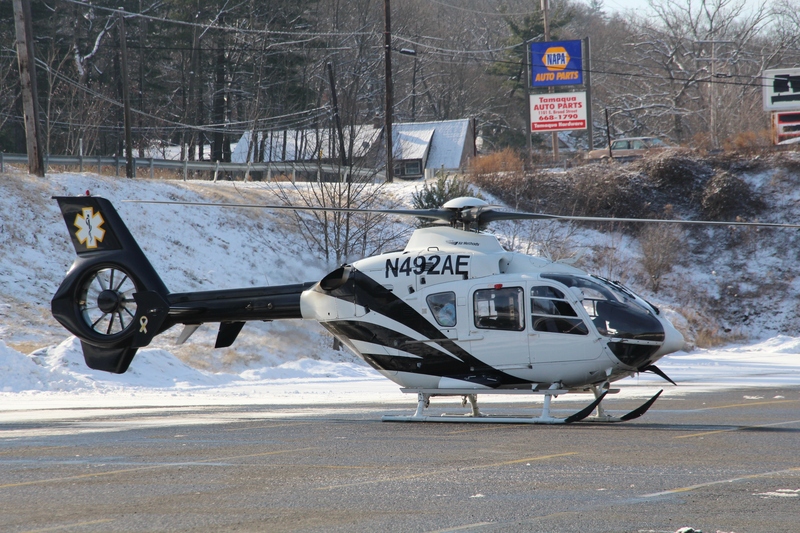 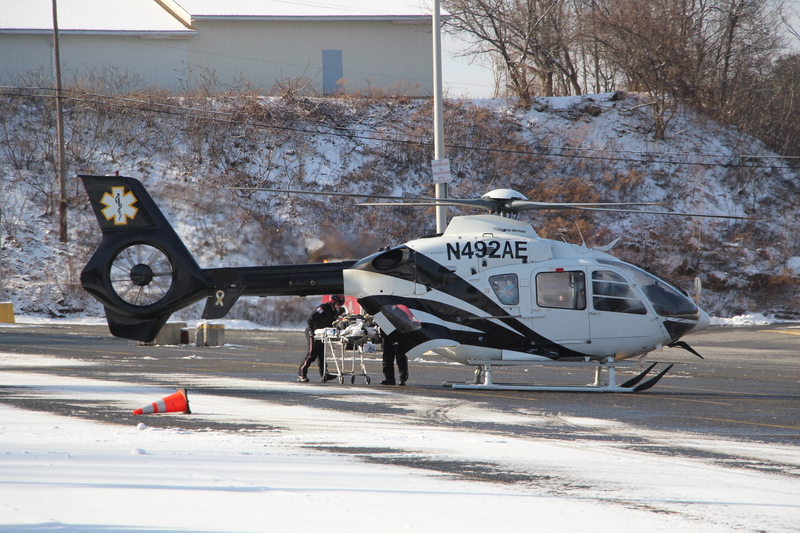 A helicopter was dispatched and landed at the Tamaqua Plaza, aka Jamesway Plaza, around 11 a.m. 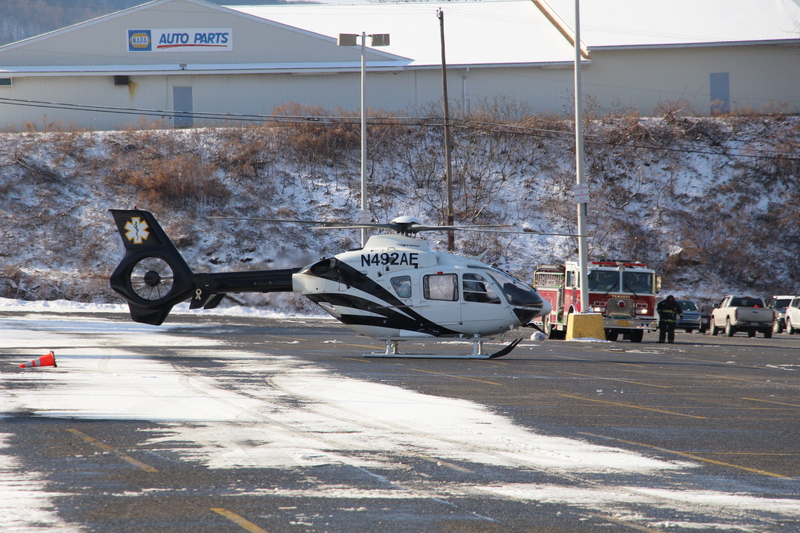 Assisting at the landing zone were Tamaqua Police, Tamaqua Fire Police, East End Fire Company and American Hose Company.